I had a bunch of cotton that I got on a ridiculous sale and decide to make another table centerpiece. Pintrest gave me this pattern that looked really easy and seed a cool shape. Let me tell you, it was boring. 20 something rounds all so so similar. Eventually i ran out of cotton so just ended the doily then and there. The effect is lovely and it sits really well on a table, not so much flat. I would never attempt this sort of pattern again as it just isn’t for me. 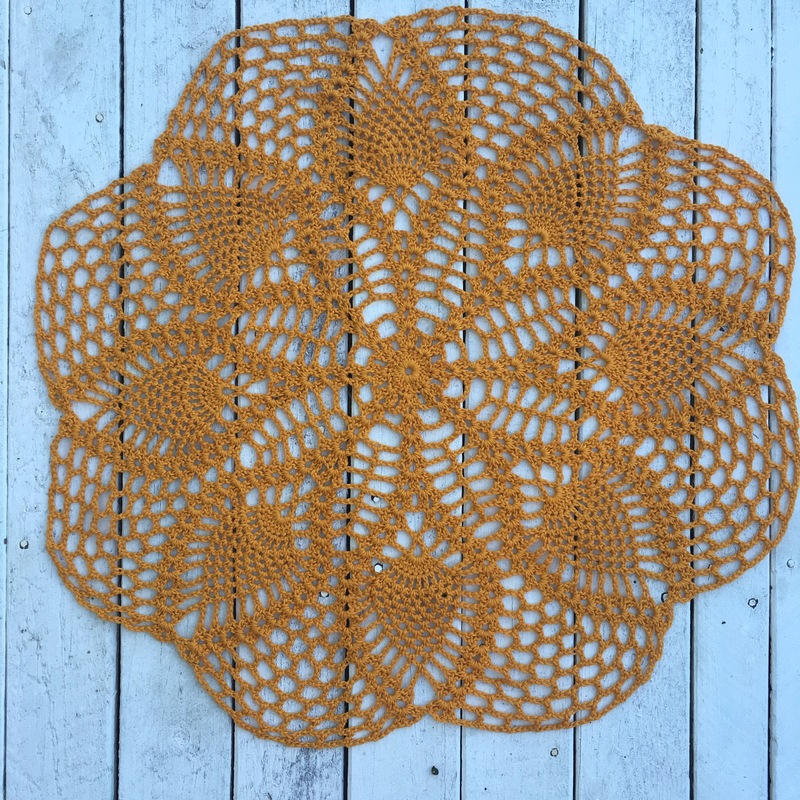 I’ve been a fan of the pineapple doily forever! Often I find them at op shops and snap them up. I found this mustard yellow cotton at the local craft store on an excellent sale so i grabbed a couple of balls and ran home. I can’t read written patterns too well, so found a diagram pattern. These are so simple for me to read and understand. I used a 3.5mm hook and got to work. This worked up fairly fast and took about 7 hours. 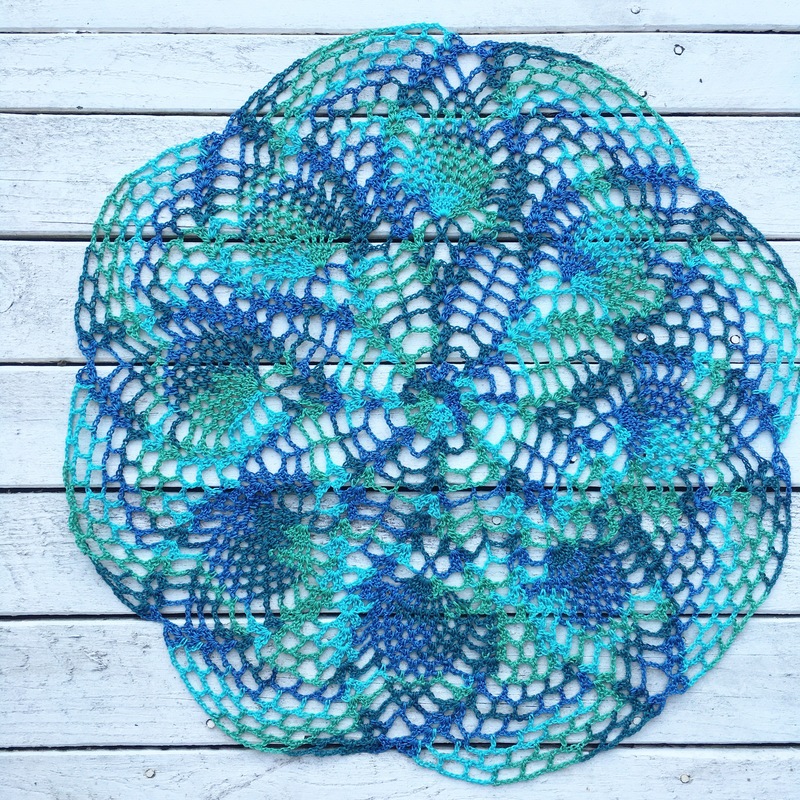 It ended up larger than i thought so is more of a centrepiece than a small doily. 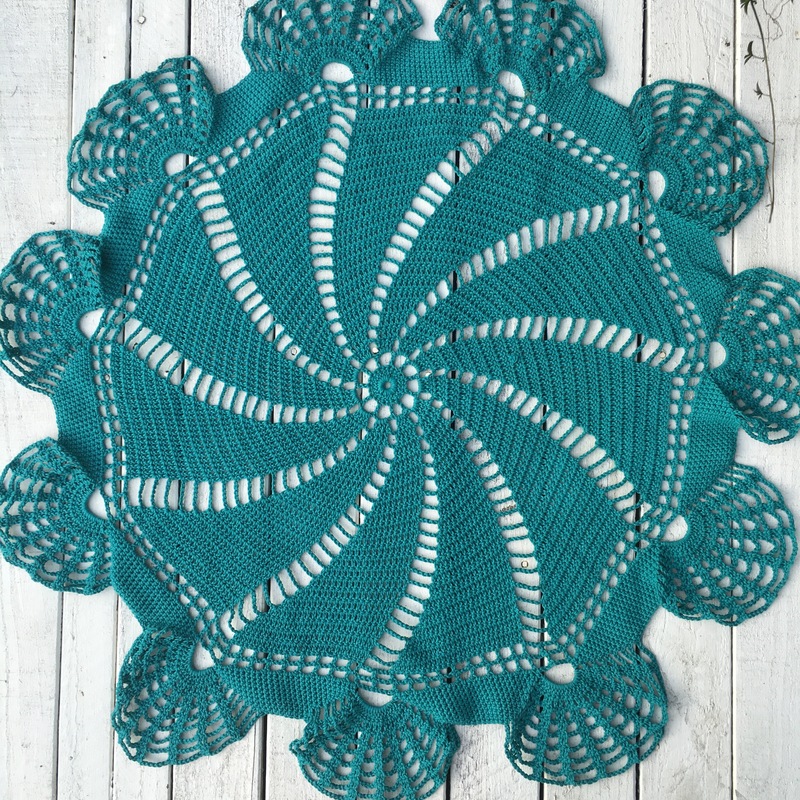 I love how this looks and the pattern is really easy to understand. After finding (and buying) some amazing doilies at the second hand store I decided to make my own. I’m not too good with written patterns so i decided to try my hand at reading crochet diagrams. What a difference! They are so easy for me to understand! I am a visual learner so knowing how the thing is meant to go together is a great help. 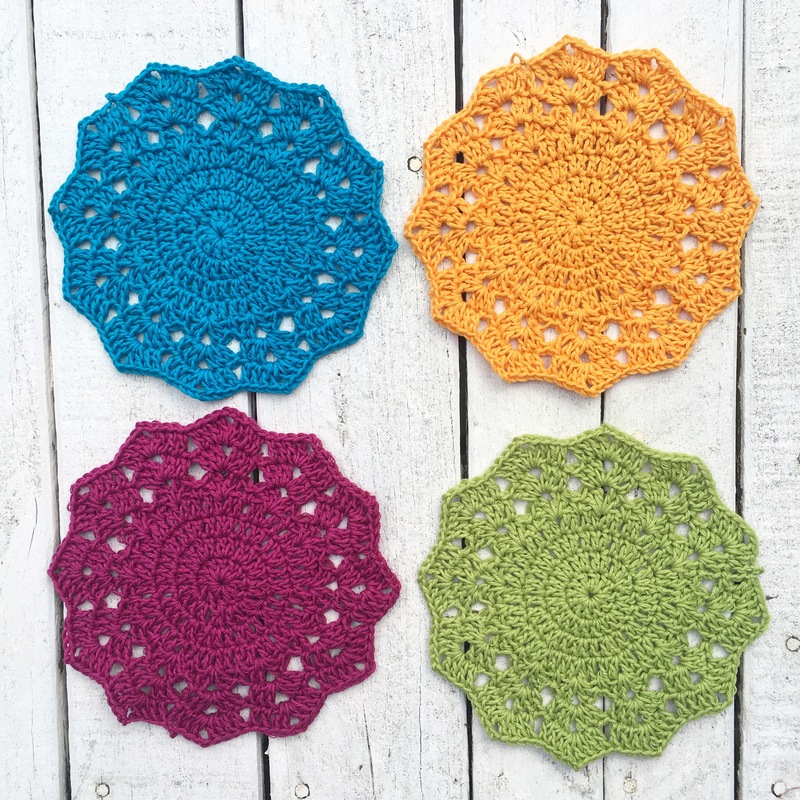 There are heaps of free patterns on the internet for all skills! The good thing is they only take a couple of rounds, the longest took 45 minutes. So these are great to make when you don’t have a lot of time. I made these using Drops cotton and a 3.5mm hook. It’s super hot in Australia right now so some days it’s really hard to work on blankets with heavy wool. I came up with an idea to make a whole bunch of doilies out of cotton and eventually sell them at the markets. These work up quickly and easily and the colours are bright and fun. I’m going to continue working on these and will hopefully have a whole bunch in a couple of months.